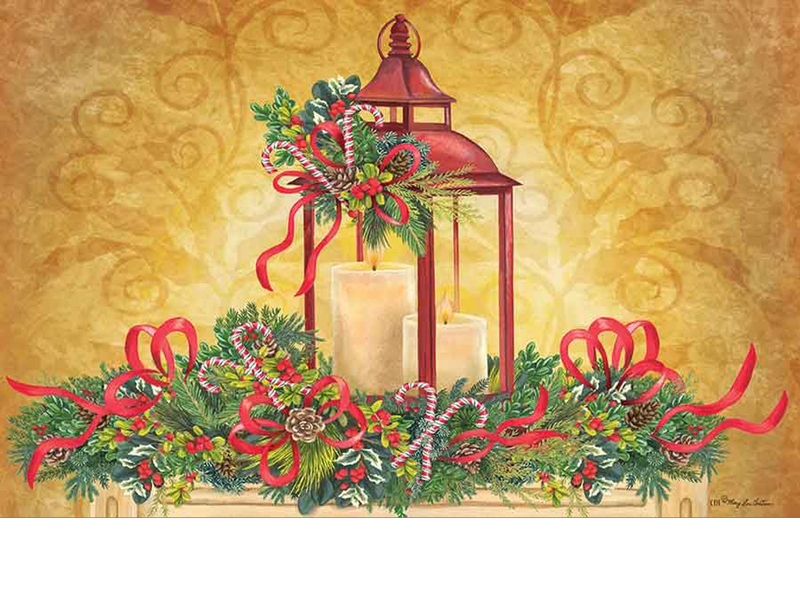 Indoor & Outdoor Christmas Lantern Insert Doormat - 18" x 30"
Home >	Indoor & Outdoor Christmas Lantern Insert Doormat - 18" x 30"
Lanterns are currently all the rage so what better way to dress up your homes decor then with a Christmas Lantern insert doormat. 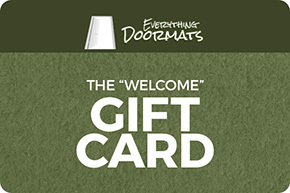 The doormat is made out of recyceld rubber and features a polyester top surface. 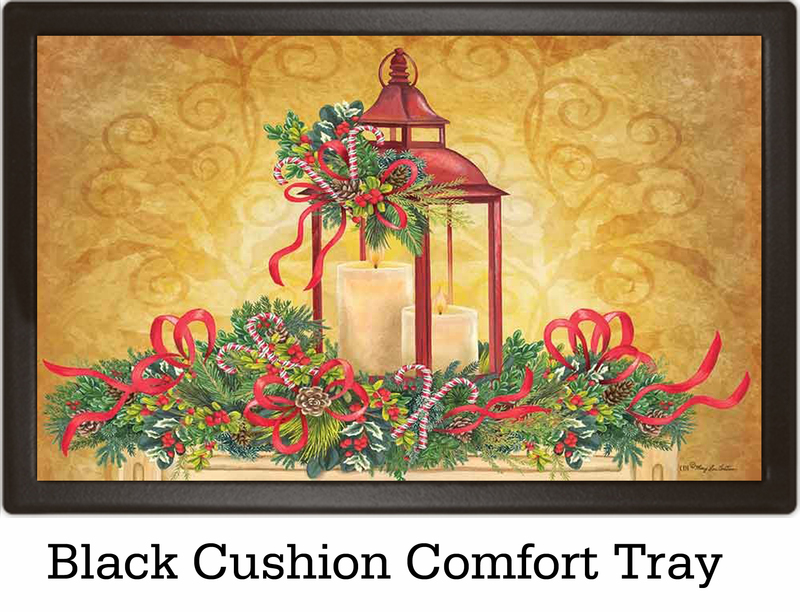 These features make the mat slip resistant, fade resistant and stain resistant. 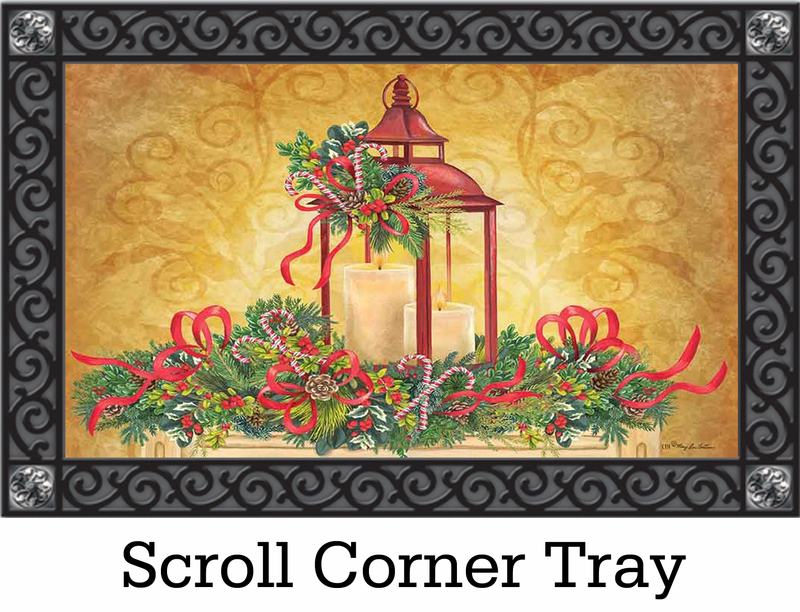 Those features make it easy to use this mat anywhere inside or outside your home. 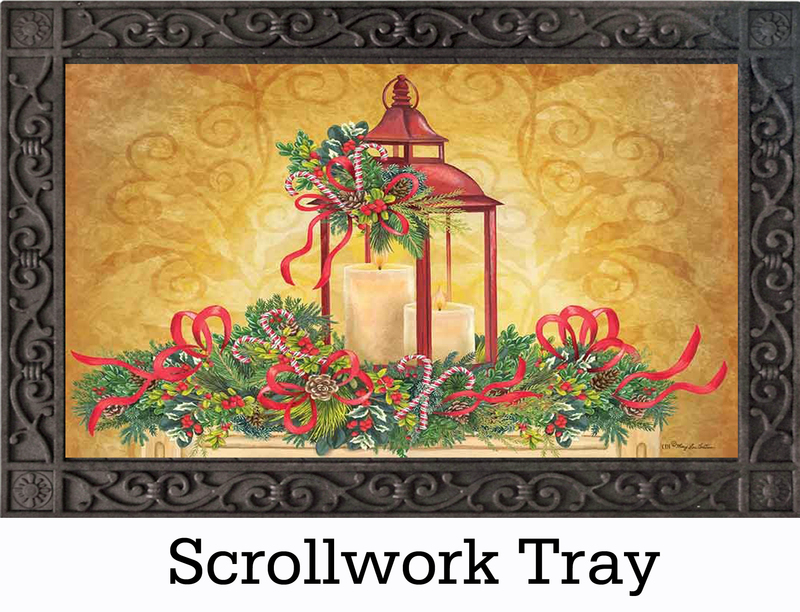 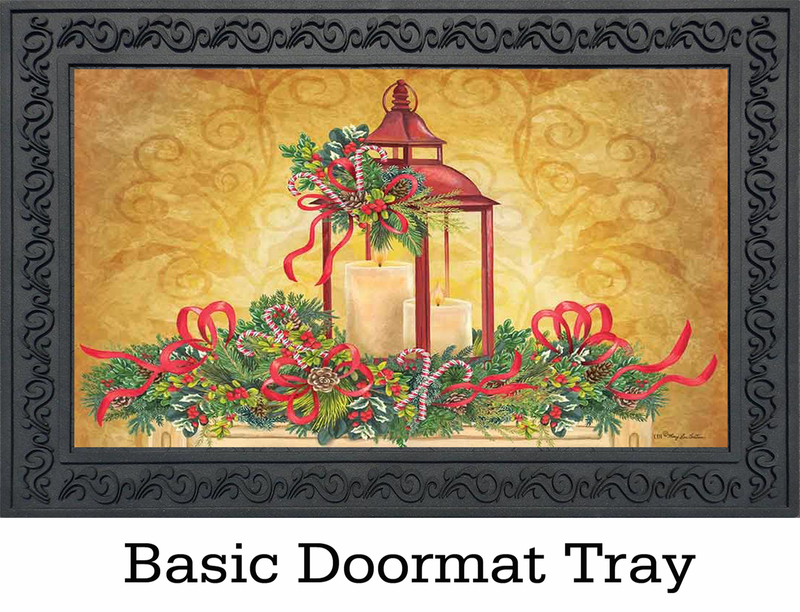 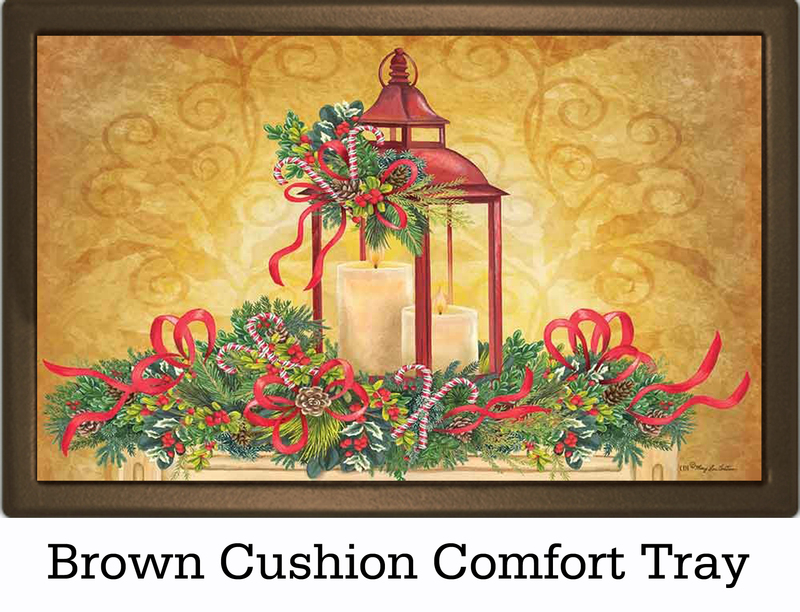 This Christmas Lantern insert doormat is 18" x 30" when used as a stand-alone mat.